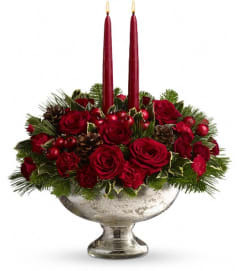 Nothing says Merry Christmas quite like a big bright red amaryllis plant! It's joyful, very easy to take care of and lasts a long time. 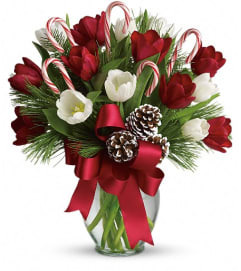 When it comes to holiday gifts, the amaryllis really is a natural. 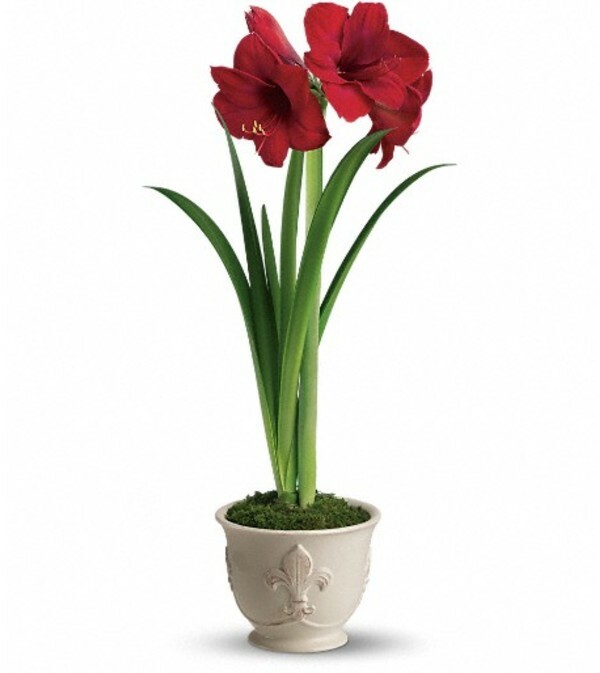 A brilliant red amaryllis plant is delivered in a 6" French country pot. Simply beautiful.